The track of the day today is a nice one. 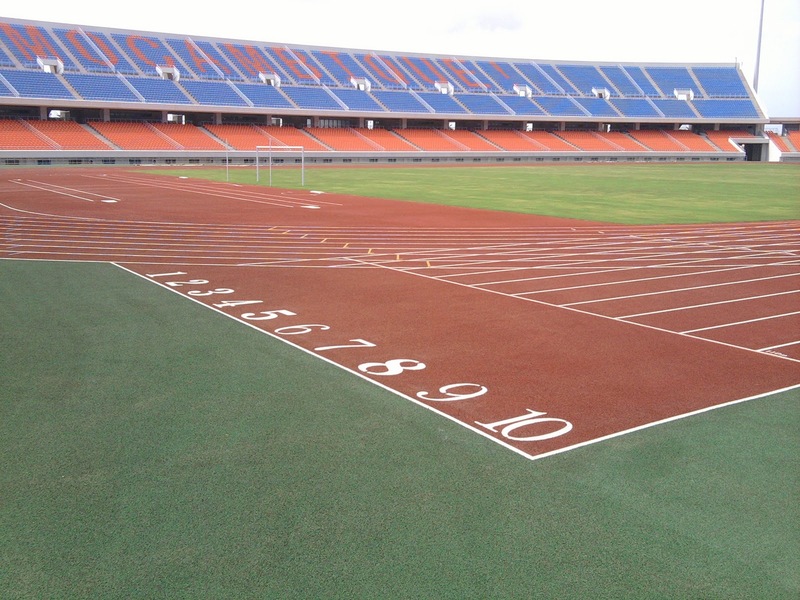 Found at the new Estádio do Zimpeto in Mozambique, this track is just under four years old. The stadium opened in 2011, in time for hosting the All-Africa Games that same year. 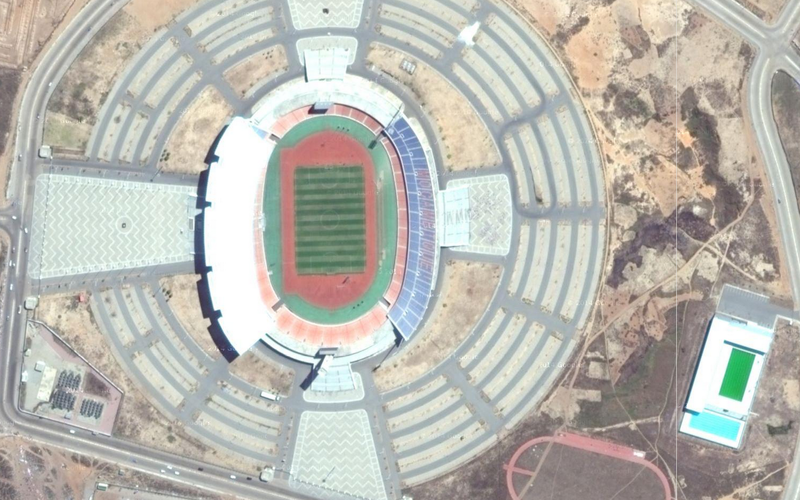 It has a seating capacity of 42,000, and is another big new stadium that was built with funding from the Chinese government. It is considered the national stadium, and for good reason. The infield is used mainly for soccer, and is natural grass. Everything else at the ground level is a synthetic surface. The track is red, with green surface outside stretching all the way to the bleachers. There are eight full lanes, with an additional two lanes added to the main straightaway. The D-zones are also filled in, providing options for the field events. The two runways, with sandpits at each end, are outside lane #8 on the backstretch. You can also see the second, warm-up track outside the stadium too. Below is a (shaky) video from inside the stadium, shot two days before it officially opened. It looks like a very nice venue.